I love playing with different styles, especially dressing up or down my clothes. This style mix – depending on the occasion – can be more interesting than a purely elegant or an all casual look as it adds an unexpected touch. My leopard skirt is such a versatile piece and today I was going for an easy look with my denim jacket. See my elegant version here and a winter fur styling here. For the office I’d simply replace the denim jacket with a classic black or beige blazer. you some style inspiration on my blog, I certainly use various sources too. One of them is Pinterest where I found a similar leopard & denim combo and pinned it to my Style I Love board. You may want to check out my boards including Favourite Blogger Looks but also different themes like My Home is My Castle. Meinen Leo Stretchrock habe ich schon in einer eleganten Variante hier und in einem Winterlook mit Pelzweste hier gezeigt. Heute darf es eine legere Jeansjacke sein. Die kann ich natürlich ganz einfach gegen einen schwarzen oder beigen Blazer austauschen und dann im Büro tragen. Ich freue mich immer, wenn ich höre, dass ich Euch hier auf meinem Blog Anregungen geben kann, aber natürlich hole auch ich mir Inspirationen und Ideen. Anstoß zu meinem heutigen Look war Pinterest, meine Ideengeberin habe ich daher auch auf meinem Board Style I Love gepinnt. Schaut doch z.B. mal bei meinen Favourite Blogger Looks vorbei, aber ich habe auch zahlreiche andere Pinboards wie z.B. My Home is My Castle. 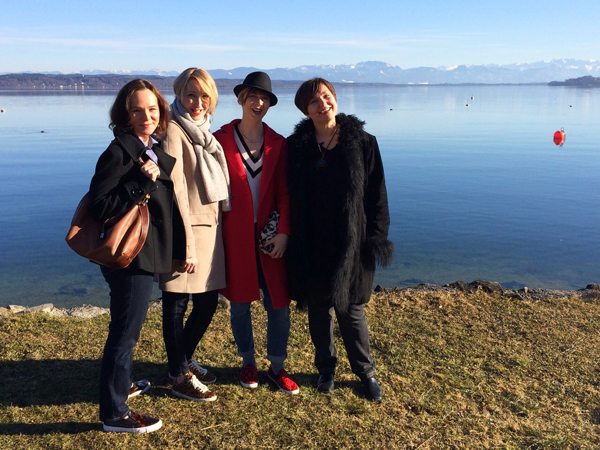 Yesterday I spent a wonderful day with my lovely German blogger friends Cla of Glam up your Lifestyle, Conny of A Hemad und a Hos, Susi of Texterella and Stephanie of Die Modeflüsterin (not pictured). 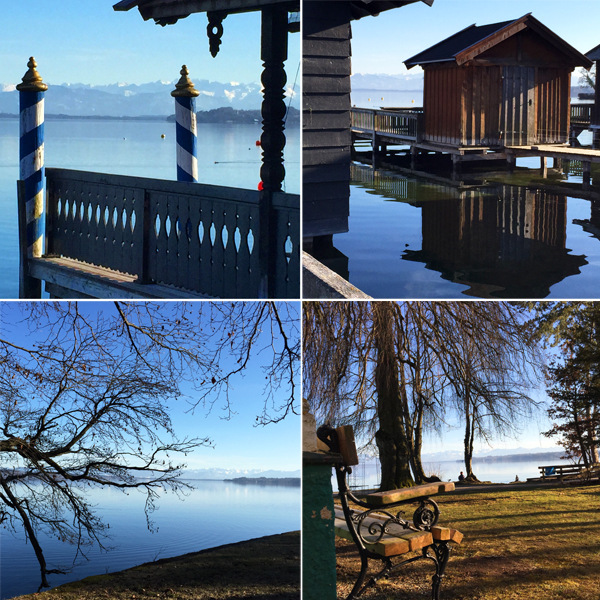 We met at Lake Starnberg, south of Munich. It is one of the most beautiful areas in Germany (unfortunately also one of the most expensive ones!) and I was lucky enough to live there for many years. It is only a short drive from where I live now and I am always happy to come back! Find these and more photos on INSTAGRAM!